The Centre for Process Innovation (CPI) is collaborating on a project to support the development of next generation smart clothing. Working with Pireta Limited, CPI is using its industry expertise in the printed electronics sector to aid scale-up of wearable technology in textiles. 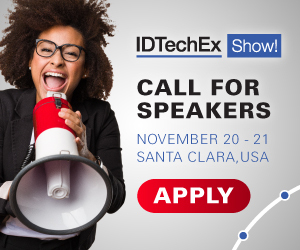 For more information see the IDTechEx report on E-Textiles 2018: Technologies, Markets and Players. The technology metallises individual fibres on fabrics in selective patterns, without changing its physical and mechanical properties. This enables wearable electronics to be more discreet, as the electrodes are integrated into the fabric itself and therefore more conformal. CPI, with its expertise in hybrid and stretchable electronics, is supporting Pireta's work on a unique process to make durable, flexible interconnecting electrodes that avoid changing fabric feel and performance. Pireta's patent pending technology has the potential to enable truly wearable smart electronic systems through the attachment of copper within textile yarns. Employing proven aqueous processes and commercially-available chemistries, Pireta has a track-record of consistently producing highly-conductive, robust and complex circuit demonstrators on a variety of textiles with resistance down to a few mΩ/sq, a conductor that does not crack, and a textile that maintains flexibility and breathability and performance when washed or stretched. Using CPI's state-of-the-art equipment, the project, known as TexAnn, aims to significantly reduce existing manufacturing timescales, while optimising electrode pattern resolution, to demonstrate the commercial viability of Pireta's technology. Wearable technology is an intrinsic part of the Internet of Things, which allows devices to send and receive data via an internet connection, with its long-term development supported by the UK Government through Innovate UK-funded projects. Sean Bolton, Project Manager at CPI, said: "We are delighted to be assisting Pireta in developing their technology, which will potentially unlock many of the current restrictions in the development of smart textiles and wearables. Our technical team will provide and coalesce our extensive knowledge across multiple technologies to accelerate the route to commercialisation for Pireta. Enabling this technology will add significant impact to smart textiles and wearable electronics, especially when there is an increased demand in this area from multiple industries." Chris Hunt, Pireta Founder and Chief Technology Officer, added: "We value the help CPI is bringing to the TexAnn project, and the step up in our ability to scale up manufacturing. We need to bring our game-changing technology to market, and this collaboration with CPI is key to that delivery."